Jordan Denari Duffner is a Catholic voice on Muslim-Christian relations and an advocate for interreligious dialogue. Currently pursuing a PhD in Theological and Religious Studies at Georgetown University, she is also an associate at the Bridge Initiative, where she previously worked as a research fellow studying anti-Muslim prejudice. Her writing on Islam and Catholicism has appeared in TIME, The Washington Post, America, and numerous other outlets. A former Fulbright researcher in Amman, Jordan, she lives in the Washington, DC area with her husband, Chris. The gap between the world as it is and the world as it should be is daunting. I love Finding Jesus among Muslims because Jordan-full of passion, grit, and courage-invites all humans into one of the most important conversations happening on Planet Earth today. Read this book. Then put it down and do something about it. Weaving together her own compelling life story with the richness of the Christian and Islamic traditions, Duffner teaches, inspires, and challenges us. This book is ideal for students and adult learners. She persuasively explains why commitment to interreligious dialogue deepens-not threatens-one's faith in profound ways. With so much religious conflict in our world, we desperately need this passionately written testimony to grace at work in all people. In a time of political division and fear, Jordan Denari Duffner offers us a refreshing work of love, compassion and understanding. Finding Jesus Among Muslims is an open invitation for all of us to better understand our shared values and the powerful beliefs that unite us. This is a work that can help all of us become peacemakers, love our neighbors, welcome strangers, and heal what has been torn apart. We are enriched in our own faiths, when we fully experience people in theirs. This is an elevating and personal read that challenges each of us to look deeper into others in order to learn more about ourselves. I appreciate Jordan's genuine friendship to the Muslim community, and her sincere desire to bring people of different faiths together. This work is as informative as it is personal. While unfailingly sensitive and gracious, Finding Jesus among Muslims is not sanitized. Duffner writes honestly and does not merely brush under the rug uncomfortable aspects of her journey over the years. She reveals thoughts and experiences that many would be reluctant to reveal, particularly in settings as emotionally combustible and susceptible to provoking offense as faith and religious differences. In our world so fraught with division and despair, Jordan Denari Duffner's experiences bring a fresh insight into Muslim-Catholic relations. In addition to recounting her many positive encounters with people of the Muslim faith, Jordan shares her insights in the ways that her own Catholic faith has deepened as a result. This book is an oasis of hope and a must read by all who take seriously the need for dialogue and understanding, particularly between Muslims and Catholics. I loved reading this book from a fresh young voice. Prepare yourself, this book will create more questions than it does answers-but it's time for this conversation to be had, for it is now the reality of our world. Jordan Denari Duffner's magnificent new book is a game-changer. A book like this could only be written by a committed Christian who shares a deep love for Muslims, and has genuinely, spiritually, and intellectually engaged both her own tradition and Islam." Excellent study questions make this a valuable book. Warmly recommended for parish and academic libraries. This is an exceptional introduction to interfaith engagement between Catholic Christians and Muslims. This book will teach you about a different religion and deepen the understanding you have of your own. Moreover, it offers practical advice for building interfaith friendships-not mention an awful lot of genuine hope! 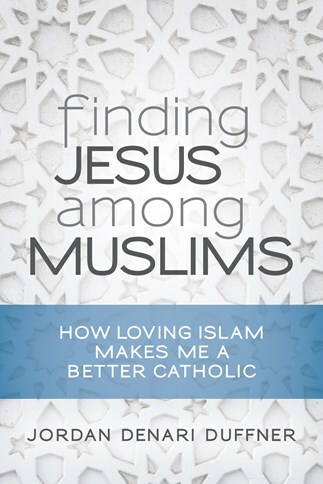 Finding Jesus Among Muslims is a beautifully written and honest testimony to the value and power of interreligious learning, grounded in Jordan Denari Duffner's own life experience, reflection, and prayer. It recounts in lucid terms the place of Islam, its piety, and friendship with Muslims in her journey as a young Catholic woman in the 21st century. That loving Islam has helped Duffner become a better Catholic will encourage many who find themselves today on the path between religions, encountering the new, yet finding their way home again. This fine addition to our growing library on interreligious learning is written with teaching in mind, and will be ideal for classroom use as well.